The terms philosophy of mathematics and mathematical philosophy are frequently used as synonyms. The latter, however, may be used to mean at least three other things. One sense refers to a project of formalizing a philosophical subject matter, say, aesthetics, ethics, logic, metaphysics, or theology, in a purportedly more exact and rigorous form, as for example the labors of Scholastic theologians, or the systematic aims of Leibniz and Spinoza. Another sense refers to the working philosophy of an individual practitioner or a like-minded community of practicing mathematicians. Additionally, some understand the term mathematical philosophy to be an allusion to the approach taken by Bertrand Russell in his book Introduction to Mathematical Philosophy. Many thinkers have contributed their ideas concerning the nature of mathematics. Today, some philosophers of mathematics aim to give accounts of this form of inquiry and its products as they stand, while others emphasize a role for themselves that goes beyond simple interpretation to critical analysis. Western philosophies of mathematics go as far back as Plato, who studied the ontological status of mathematical objects, and Aristotle, who studied logic and issues related to infinity (actual versus potential). Beginning with Leibniz, the focus shifted strongly to the relationship between mathematics and logic. This view dominated the philosophy of mathematics through the time of Frege and of Russell, but was brought into question by developments in the late nineteenth and early twentieth century. In the twentieth century, philosophers of mathematics were beginning to divide into various schools, broadly distinguished by their pictures of mathematical epistemology and ontology. Three schools, formalism, intuitionism, and logicism, emerged at this time, partly in response to the increasingly widespread worry that mathematics as it stood might not live up to the standards of certainty and rigor that had been taken for granted in the presence of various foundational paradoxes such as Russell's paradox. Each school addressed the issues that came to the fore at that time, either attempting to resolve them or claiming that mathematics is not entitled to its status as our most trusted knowledge. These currents of thoughts led to the developments in formal logic and set theory early in the twentieth century concerning the new questions about what the foundation of mathematics is. As the century unfolded, the initial focus of concern expanded to an open exploration of the fundamental axioms of mathematics, the axiomatic approach having been taken for granted since the time of Euclid as the natural basis for mathematics. Core concepts such as axiom, order, and set received fresh emphasis. In mathematics as in physics, new and unexpected ideas had arisen and significant changes were coming. Inquiries into the consistency of mathematical theories lead to the development of a new level of study, a reflective critique in which the theory under review "becomes itself the object of a mathematical study," what Hilbert called metamathematics or proof theory . When philosophy discovers something wrong with science, sometimes science has to be changed—Russell's paradox comes to mind, as does Berkeley's attack on the actual infinitesimal—but more often it is philosophy that has to be changed. I do not think that the difficulties that philosophy finds with classical mathematics today are genuine difficulties; and I think that the philosophical interpretations of mathematics that we are being offered on every hand are wrong, and that 'philosophical interpretation' is just what mathematics doesn't need. . The ones discussed here are a few of the main views regarding the various questions found in the philosophy of mathematics. Mathematical realism, like realism in general, holds that mathematics is dependent on some reality independent of the human mind. Thus humans do not invent mathematics, but rather discover it, and any other intelligent beings in the universe would presumably do the same. In this point of view, there is really one sort of mathematics that can be discovered: Triangles, for example, are real entities, not the creations of the human mind. One form of mathematical realism is the view called Platonism. This view is that mathematical entities are abstract, have no spatiotemporal or causal properties, and are eternal and unchanging. This is often claimed to be the naive view most people have of numbers. The term Platonism is used because such a view is seen to parallel Plato's belief in a "World of Ideas," an unchanging ultimate reality that the everyday world can only imperfectly approximate. The two ideas have a meaningful, not just a superficial connection, because Plato probably derived his understanding from the Pythagoreans of ancient Greece, who believed that the world was, quite literally, generated by numbers. Another form of mathematical realism is based on mathematical empiricism. The view says that we discover mathematical facts as a result of empirical research, just like facts in any of the other sciences. It is not one of the classical three positions advocated in the early 20th century, but primarily arose in the middle of the century. However, an important early proponent of a view like this was John Stuart Mill. Mill's view was widely criticized, because it makes statements like "2 + 2 = 4" come out as uncertain, contingent truths, which we can only learn by observing instances of two pairs coming together and forming a quartet. Logicism is the thesis that mathematics is reducible to logic, and hence nothing but a part of logic . Logicists hold that mathematics can be known a priori, but suggest that our knowledge of mathematics is just part of our knowledge of logic in general, and is thus analytic, not requiring any special faculty of mathematical intuition. In this view, logic is the proper foundation of mathematics, and all mathematical statements are necessary logical truths. 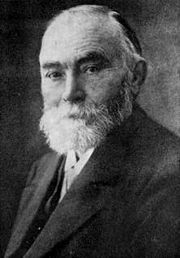 But Frege's construction was flawed. Russell discovered that Basic Law V is inconsistent (this is Russell's paradox). Frege abandoned his logicist program soon after this, but it was continued by Russell and Whitehead. They attributed the paradox to "vicious circularity" and built up what they called ramified type theory to deal with it. In this system, they were eventually able to build up much of modern mathematics but in an altered, and excessively complex, form (for example, there were different natural numbers in each type, and there were infinitely many types). They also had to make several compromises in order to develop so much of mathematics, such as an "axiom of reducibility." Even Russell said that this axiom did not really belong to logic. Formalism holds that mathematical statements may be thought of as statements about the consequences of certain string manipulation rules. For example, in the "game" of Euclidean geometry (which is seen as consisting of some strings called "axioms," and some "rules of inference" to generate new strings from given ones), one can prove that the Pythagorean theorem holds (that is, you can generate the string corresponding to the Pythagorean theorem). Mathematical truths are not about numbers and sets and triangles and the like—in fact, they aren't "about" anything at all! Another version of formalism is often known as deductivism. In deductivism, the Pythagorean theorem is not an absolute truth, but a relative one: if you assign meaning to the strings in such a way that the rules of the game become true (i.e., true statements are assigned to the axioms and the rules of inference are truth-preserving), then you have to accept the theorem, or, rather, the interpretation you have given it must be a true statement. The same is held to be true for all other mathematical statements. Thus, formalism need not mean that mathematics is nothing more than a meaningless symbolic game. It is usually hoped that there exists some interpretation in which the rules of the game hold. (Compare this position to structuralism.) But it does allow the working mathematician to continue in his or her work and leave such problems to the philosopher or scientist. Many formalists would say that in practice, the axiom systems to be studied will be suggested by the demands of science or other areas of mathematics. A major early proponent of formalism was David Hilbert, whose program was intended to be a complete and consistent proof axiomatization of all of mathematics. ("Consistent" here means that no contradictions can be derived from the system.) Hilbert aimed to show the consistency of mathematical systems from the assumption that the "finitary arithmetic" (a subsystem of the usual arithmetic of the positive integers, chosen to be philosophically uncontroversial) was consistent. Hilbert's goals of creating a system of mathematics that is both complete and consistent was dealt a fatal blow by the second of Gödel's incompleteness theorems, which states that sufficiently expressive consistent axiom systems can never prove their own consistency. Since any such axiom system would contain the finitary arithmetic as a subsystem, Gödel's theorem implied that it would be impossible to prove the system's consistency relative to that (since it would then prove its own consistency, which Gödel had shown was impossible). Thus, in order to show that any axiomatic system of mathematics is in fact consistent, one needs to first assume the consistency of a system of mathematics that is in a sense stronger than the system to be proven consistent. Leopold Kronecker said: "The natural numbers come from God, everything else is man's work." A major force behind Intuitionism was L.E.J. Brouwer]], who rejected the usefulness of formalized logic of any sort for mathematics. His student Arend Heyting, postulated an intuitionistic logic, different from the classical Aristotelian logic; this logic does not contain the law of the excluded middle and therefore frowns upon proofs by contradiction. The axiom of choice is also rejected in most intuitionistic set theories, though in some versions it is accepted. Important work was later done by Errett Bishop, who managed to prove versions of the most important theorems in real analysis within this framework. Fictionalism was introduced in 1980 when Hartry Field published Science Without Numbers, which rejected and in fact reversed Quine's indispensability argument. Where Quine suggested that mathematics was indispensable for our best scientific theories, and therefore should be accepted as a body of truths talking about independently existing entities, Field suggested that mathematics was dispensable, and therefore should be considered as a body of falsehoods not talking about anything real. He did this by giving a complete axiomatization of Newtonian mechanics that didn't reference numbers or functions at all. He started with the "betweenness" axioms of Hilbert geometry to characterize space without coordinatizing it, and then added extra relations between points to do the work formerly done by vector fields. Hilbert's geometry is mathematical, because it talks about abstract points, but in Field's theory, these points are the concrete points of physical space, so no special mathematical objects at all are needed. Having shown how to do science without using mathematics, he proceeded to rehabilitate mathematics as a kind of useful fiction. He showed that mathematical physics is a conservative extension of his non-mathematical physics (that is, every physical fact provable in mathematical physics is already provable from his system), so that the mathematics is a reliable process whose physical applications are all true, even though its own statements are false. Thus, when doing mathematics, we can see ourselves as telling a sort of story, talking as if numbers existed. For Field, a statement like "2+2=4" is just as false as "Sherlock Holmes lived at 22b Baker Street" - but both are true according to the relevant fictions. This runs counter to the traditional beliefs of working mathematicians that mathematics is somehow pure or objective. But social constructivists argue that mathematics is in fact grounded by much uncertainty: as mathematical practice evolves, the status of previous mathematics is cast into doubt, and is corrected to the degree it is required or desired by the current mathematical community. This can be seen in the development of analysis from reexamination of the calculus of Leibniz and Newton. They argue further that finished mathematics is often accorded too much status, and folk mathematics not enough, due to an over-emphasis on axiomatic proof and peer review as practices. In his work on the divine proportion, H. E. Huntley relates the feeling of reading and understanding someone else's proof of a theorem of mathematics to that of a viewer of a masterpiece of art - the reader of a proof has a similar sense of exhilaration at understanding as the original author of the proof, much as, he argues, the viewer of a masterpiece has a sense of exhilaration similar to the original painter or sculptor. Indeed, one can study mathematical and scientific writings as literature. Another aspect of aesthetics concerning mathematics is mathematicians' views towards the possible uses of mathematics for purposes deemed unethical or inappropriate. The best-known exposition of this view occurs in G.H. Hardy's book A Mathematician's Apology, in which Hardy argues that pure mathematics is superior in beauty to applied mathematics precisely because it cannot be used for war and similar ends. Some later mathematicians have characterized Hardy's views as mildly dated, with the applicability of number theory to modern-day cryptography. While this would force Hardy to change his primary example if he were writing today, many practicing mathematicians still subscribe to Hardy's general sentiments. Aristotle. "Prior Analytics." Hugh Tredennick (trans. ), 181–531 in Aristotle, Vol. 1. Loeb Classical Library, London, UK: William Heinemann, 1938. Benacerraf, Paul; Hilary Putnam. Philosophy of Mathematics, Selected Readings, second ed. Englewood Cliffs, NJ: Prentice–Hall, . 1983. Berkeley, George. The Analyst; or, a Discourse Addressed to an Infidel Mathematician. Wherein It is examined whether the Object, Principles, and Inferences of the modern Analysis are more distinctly conceived, or more evidently deduced, than Religious Mysteries and Points of Faith. London & Dublin: Online text, David R. Wilkins (ed.). Retrieved July 10, 2007. Hardy, G. H. and C. P. Snow. A Mathematician's Apology. London: Cambridge U.P., 1967. Kleene, S.C. Introduction to Metamathematics. New York: Van Nostrand, 1952. Kline, Morris (1959), Mathematics and the Physical World, Thomas Y. Crowell Company, New York, NY, 1959. Reprinted, Mineola, NY: Dover Publications, 1981. König, Julius (Gyula). "Über die Grundlagen der Mengenlehre und das Kontinuumproblem." Mathematische Annalen 61: 156–160. Reprinted, "On the Foundations of Set Theory and the Continuum Problem," Stefan Bauer-Mengelberg (trans. ), 145–149 in Jean van Heijenoort (ed. ), 1967. Maziarz, Edward A., and Thomas Greenwood. Greek Mathematical Philosophy. New York: Ungar, 1968. Peirce, Benjamin. Linear Associative Algebra. New York: Van Nostrand, 1882. § 1. See American Journal of Mathematics 4 (1881). Peirce, Charles S.; Charles Hartshorne; Paul Weiss; Arthur W Burks. Collected Papers of Charles Sanders Peirce. Cambridge, MA: Harvard University Press, 1931–1935, 1958. Plato. The Republic, Volume 1, Paul Shorey (trans. ), 1–535 in Plato, Volume 5. Loeb Classical Library, London, UK: William Heinemann, 1930. Plato. The Republic, Volume 2 Paul Shorey (trans. ), 1–521 in Plato, Volume 6. Loeb Classical Library, London, UK: William Heinemann, 1935. Putnam, Hilary. "Mathematics Without Foundations." Journal of Philosophy 64(1): 5–22. Reprinted, pp. 168–184 in W.D. Hart (ed. ), The Philosophy of Mathematics. 1996. Russell, Bertrand. Introduction to Mathematical Philosophy. London: G. Allen & Unwin; New York, The Macmillan Co., 1919. Tarski, A. Logic, Semantics, Metamathematics: Papers from 1923 to 1938. Oxford, Clarendon Press, 1956. Van Heijenoort, Jean. From Frege To Gödel: A Source Book in Mathematical Logic, 1879–1931. Cambridge, Harvard University Press, 1967. Wigner, Eugene. "The Unreasonable Effectiveness of Mathematics in the Natural Sciences." Communications in Pure and Applied Mathematics 13. Indispensability Arguments in the Philosophy of Mathematics. History of "Philosophy of Mathematics"
This page was last modified on 25 March 2019, at 19:42.